This unique gift will be something your high school or college graduate loves! 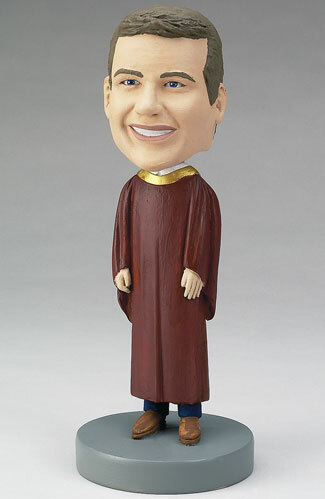 A personalized bobblehead doll commemorates graduation in a special way. Customize the cap and gown to his school colors, add stoles and cords for his achievements, and engrave the base with his graduation year or well-wishing. See also the custom bobblehead for your female graduate.